Hair loss is a difficult experience for most people, but it can be especially upsetting for women. For our female patients, they often feel like an important part of their identity and sense of femininity has been taken away. While female pattern hair loss typically does not result in full baldness, it can still significantly reduce hair density. Varona Hair Restoration specializes in the leading techniques for restoring natural-looking density for women suffering from hair loss. Whether your hair shedding is caused by medical conditions, hormonal fluctuations, or other factors, our expert team will design a custom treatment plan to restore your hair and your confidence. You no longer have to feel held back in life because of your hair loss – discover a more beautiful, confident you with female hair restoration in Newport Beach. Contact Varona Hair Restoration to schedule your personal consultation for female hair restoration. Hair loss for women is usually much more complex when compared to hair loss in men. This is why Dr. Christopher Varona takes the time during consultations to carefully assess your medical history and get to the underlying cause of your hair loss. Our female patients typically have a full work-up and a biopsy, if necessary, to rule out other issues. In men, the male hormone dihydrotestosterone (DHT) is thought to play a major role in triggering hair loss. While most women have very low levels of this hormone, even small amounts have been shown to cause female pattern baldness (also known as androgenic alopecia). This type of hair loss in women can also be hereditary. Female pattern baldness usually first manifests as a widening part, and you might start to see more visible scalp. As shedding continues, you may notice diffuse thinning all over the top of your head. It typically does not cause complete baldness, but some women with more advanced cases may have significant thinning on the top of the head and crown area. Significant hormonal fluctuations have been known to trigger hair loss in women. This frequently occurs when women start or stop taking hormonal birth control pills, and it can also happen after pregnancy. Women who have medical conditions like PCOS (polycystic ovary syndrome) usually have increased androgens, which are male hormones. These male hormones can cause symptoms like acne, increased body hair, and loss of hair on the scalp. Nutritional deficiencies are another common cause of hair loss for our female patients. Women are particularly susceptible to iron deficiency anemia because of menstruation. With iron deficiency anemia, the body cannot produce enough hemoglobin, which is essential for hair growth. A deficiency in vitamin D can also lead to significant hair shedding. Surgical female hair restoration is typically performed using the follicular unit transplantation (FUT) technique, but it can also be performed using follicular unit extraction (FUE) as well. FUT does not require the patient to shave large sections of their head, which is why it’s a popular option for our female patients. During this procedure, a small strip of tissue is surgically removed from the back of the patient’s head. Hairs in this area are more resistant to balding, which makes them ideal for transplanting. Once the strip of tissue is removed, the individual hair grafts are dissected and counted until the desired amount is collected. Dr. Varona then prepares the transplant sites to receive the grafts. This important step requires a great deal of artistry and precision. 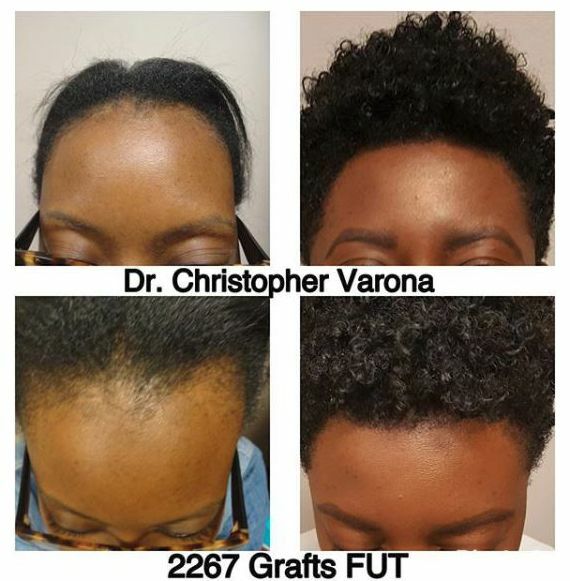 Dr. Varona’s technique ensures that the angle and distribution of the transplanted grafts match the surrounding hair. This approach allows him to create superior, natural-looking results. IS FEMALE HAIR RESTORATION RIGHT FOR YOU? At your initial consultation, Dr. Varona will help you explore your full range of options. If your hair loss is still in the early stages, you may want to start a medication such as Rogaine®. Many of our female patients also have success with PRP therapy. This is not a surgical hair restoration technique, but it can help regrow hair and enhance the overall results of surgical hair restoration. Young female patient with a genetically higher hairline wanted to add density and lower hairline and advance temples. The right side pictures are after 10 months. If you’re interested in female hair restoration, take the next step by scheduling a personal consultation with us in Newport Beach. 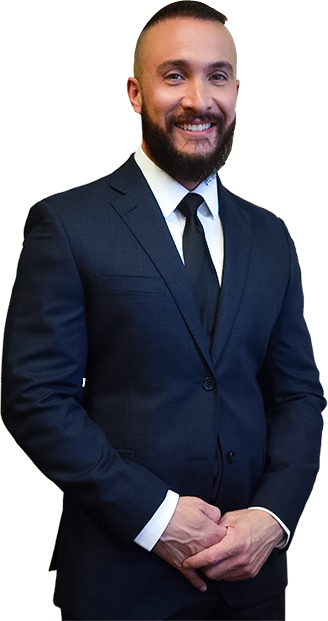 Dr. Varona would be happy to assess your hair loss and set you up with an effective treatment plan. Discover a more beautiful, confident you with female hair restoration. Recovery from FUT surgery is minimal. You will likely experience some mild pain and swelling on the treated areas for the first few days. By one week to 10 days, you will start to notice scabbing around the transplant and harvest sites, but these temporary symptoms resolve on their own. FUT surgery does produce a fine linear scar on the back of the scalp. In most cases, this scar will be easily concealed by your hair. The transplanted hair will follow the same growth behavior from the area it was harvested from, so your results will be very long lasting.